The Old Rectory, Epworth (1/2 hour drive from Doncaster) - a charming Grade I listed, Queen Anne house, with ornamental and 'physic' gardens, close to the heart of the small, rural market town of Epworth. 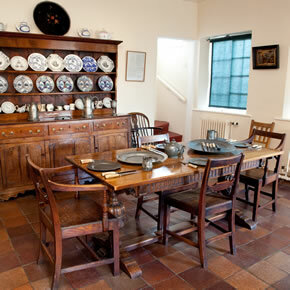 Explore the Lincolnshire 18th C family home of the Wesleys, the most prominent founders of Methodism. Follow the Wesley Way around historic Epworth; the town offers interesting boutique shops, places for refreshment, and you can visit the parish church where the Wesleys worshipped. The present house was built in the early 1700s after fire devastated the family's former house - now the original fireplaces, the only structures surviving from that earlier property, have been excavated and restored. Hear about the redoubtable and deeply spiritual mother, Susanna, aspirational father, Samuel, and the family of ten children - brothers, whose religious movement changed the world, and sisters, with the most difficult and blighted love-lives! More details. 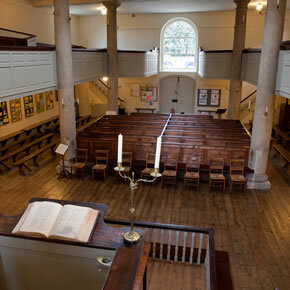 The New Room / John Wesley's Chapel, Bristol - a fine Georgian chapel (Grade I listed), with museum displays in the meeting rooms above. Set in the heart of Bristol's Broadmead shopping centre, close to a wide range of shops and eating places; high street chains to high-end boutiques and department stores, cafes to waterside restaurants and historic pubs. Find out how in the 1730s-40s John Wesley was led to outdoor preaching and then to build this centre for medical care, education and itinerant preaching. Discover the influence of Methodism in abolishing slavery, in supporting the young America and in leaving an unrivalled legacy of hymns and songs. Visit the nearby home of Charles Wesley, hymn-writer and preacher. More details. John Wesley's House & Museum of Methodism, Wesley's Chapel, City Road, London - a rare, late 18thC gentleman's town residence and a brand-new £1.5m museum, in the heart of the city of London. 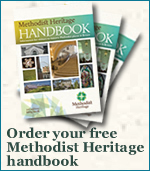 What is Methodism? 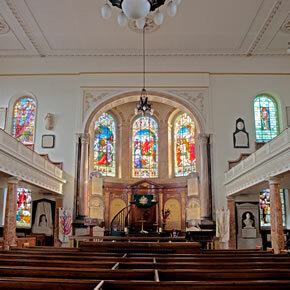 Why was this so-called 'cathedral' of Methodism built here in London in the late 18thC? What was the impact of Methodism - locally, nationally and worldwide? Today around 75 million people call themselves 'Methodist'; find out more about the man, John Wesley, and his 'method' in this impressive and unique crypt museum. Take a tour of John Wesley's house, and see his grave. (His mother , Susanna, is commemorated on site, but buried in the burial ground opposite, also a Grade I monument, where other famous dissenters are buried, including Defoe, Bunyan and Blake. ) More details. 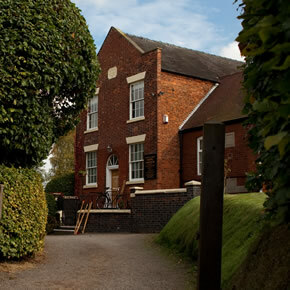 Englesea brook Chapel & Primitive Methodist Museum (15 minutes drive from Crewe) - Life and religion in the Victorian and Edwardian eras are explored in this fascinating museum. Set in rolling countryside, this intimate museum has recently been completely redisplayed, with new visitor facilities and extensive improvements to access for disabled people.